Legen - wait for it - dary! Legendary! Legen – wait for it – dary! Legendary! There are a lot of us here at The Group Real Estate who love to play video games. Whether we laugh about how much we love playing Mario, the games we played growing up, the online games that we play, or the games that we just love to escape playing. Growing up here in little ‘ol Firth, just south of Idaho Falls, I wasn’t raised on video games, at all. I would get some fun times playing on the Sega or Super Nintendo at a friends house. This is the same friend where I saw my very first R rated movie, as well. Well, mom and dad, I still turned out pretty all right. That being said, the video game culture is a big deal in today’s world, even right here in little old Idaho Falls. I worked for GameStop for a few year, giving me some fun gaming, and nerd-ing out in games, experiences. I found myself loving games that had a story line, tested my will, and gave me a great character to play. Some of these games I will still play from time to time. There are quite a few that I play to this day that I played a few times over when I was at GameStop. Some will never get old to me, and as long as they are working on the system I may have at the time, I will play them over and over. One of the things that never caught full appeal to me was online gaming. When I got my newer system, I found myself really liking playing online as long as it was against people. I always hated it, as I wasn’t very good. 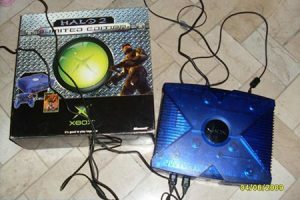 This went all the way back to playing Halo 2 on our system linked Xboxes when I was in college. I sucked then, too. One of the biggest online games of all time, that we would sell so much for at GameStop, is a game called League of Legends. An online, multi level style, leveling up, game where you are pitted against other players from all over, in tower defense style gaming. A battle arena game developed by Riot Games and played on the computer, through Microsoft Windows being part of development. You control a “champion” in a battle against other “champions” with unique abilities, battle against another team or sometimes computer controlled champions. The goal is usually to get to, and destroy, the other teams Nexus, a tower that is at the end of the map, after going through other towers to get there. You accumulate items and experience over the course of the game, using heroes and champions that blend a variety of elements, including fantasy, steampunk era, folk, and Lovecraftian horror. Releasing in 2009, it got some accolade and was played quite a bit, still overshadowed by World of Warcraft, but come 2012, League of Legends was the most play PC game in North America and Europe in terms of hours played. The numbers on this are quite ridiculous, a consensus from 2014 tells us. 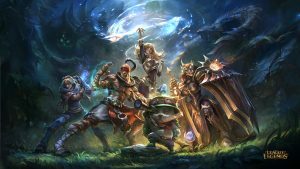 Over 67 million people played League of Legends per month, 27 million per day, and over 7.5 million concurrently during peak hours. League of Legends is the highest streamed public game on YouTube and Twitch.tv and routinely ranks in the top as most watched hours wise. 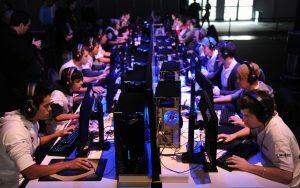 As of 2016, there were an estimated 100 million active players each month. Due to the popularity of the game through the years, there is now apparel, figures, toys, accessories as well as tie ins through music videos, web series, documentaries, and books. There are ten professional teams in each continent who play League of Legends competitively, to which the 2016 World Championship had 43 million unique viewers and total prize pool of over 6 million dollars (USD).